This is one of the largest and most well preserved tombs belonging to the high priest of the Aten, also known as ‘Beloved of Ra’. The roof of the main chamber was originally supported by four columns. 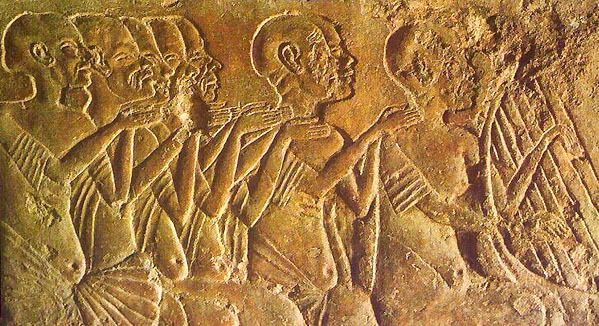 Moving anti-clockwise, we follow scenes (right of the doorway) of Akhenaten at a palace window, casting forth golden ornaments to Meri-Re. 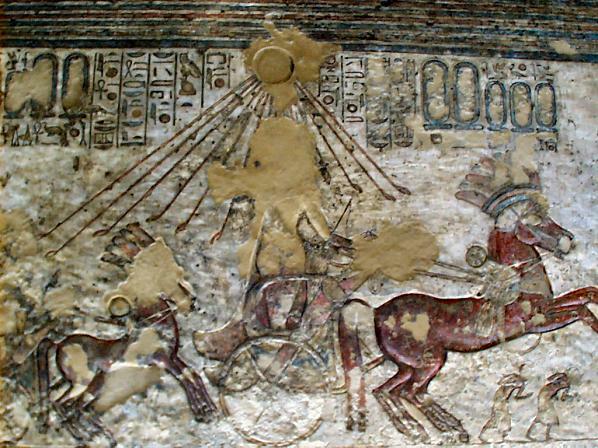 On the left-hand wall he is in his chariot, driving from his palace (above) to the Temple of Aten. Leading the chariot are guards. 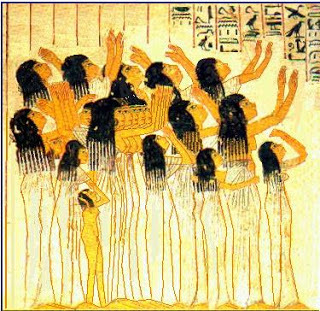 Following him are the queen, the princesses and escorts; some are in chariots and some on foot. On the rear wall priests await the arrival of the royal procession at the temple. (Note the storehouses, barns and other chambers enclosed in a garden.) Having completed their prayers, the royal couple emerges from the palace (right-hand wall) to be greeted by priests. In the lower row the royal couple inspect the storehouses. 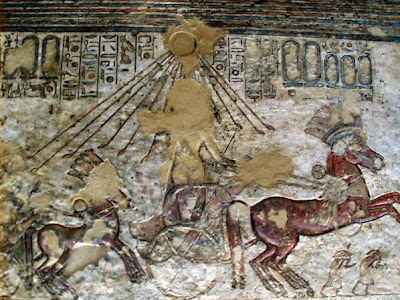 On the left-hand entrance wall is a scene of the royal pair, accompanied by their daughters, worshipping the Aten. Meri-Re and another priest stand beside the altar. Also present are the royal retinue and priests. On the lower reaches of the wall blind singers are borne in two carriages.